How to prepare for your sales interview. An easy-to-use guide to the different types of job interview questions you can expect and how to answer these questions successfully. Prepare your own winning interview answers and get the sales job you want. Excellent resources for your sales job interview. Use the sales job interview as an opportunity to sell yourself as the right candidate for the job opportunity. Be well prepared and come across as a confident and competent sales professional. The sales job interview will include behavioral interview questions that explore the key competencies needed for success in a sales job. Expect behavioral questions around adaptability, resilience, persuasiveness, motivation, negotiation and presentation skills. Prepare for these common interview questions. What do you like and dislike about the sales job? What are the key skills for success in sales? and the old favorite - Sell me this product. 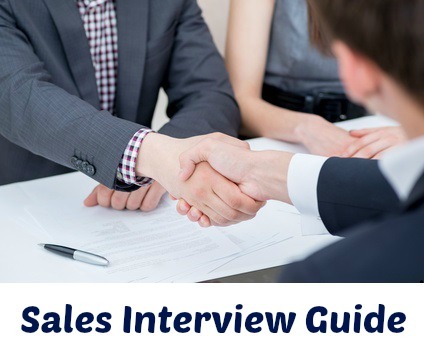 Prepare for interview questions that explore your knowledge and application of sales principles and practices such as handling objections, qualifying prospects, closing the sale and when to walk away from the customer. Plan for interview questions that explore your approach to and understanding of customer service. This is a key element to sales success. When preparing for you interview it is important to find out as much as possible about the company. Just as a good sales person has comprehensive knowledge of the client so should the job candidate. You can conduct background research on the company using the resources listed at preparing for a job interview. This lists both online and offline research resources that are free and easy to use. Know what sort of information to look for and how to effectively use it in your job interview. Plan insightful and pertinent questions to ask the interviewer. Choose the right job interview question to ask from this list of possible questions to ask in your interview. Asking the right questions helps to uncover company and job needs so you can better highlight why you are the best candidate for the sales job. It also demonstrates that you have given the job opportunity considerable thought and attention. It is a good idea to take evidence of your suitability with you to the interview. Present documents that attest to your success such as client letters, sales reports, certificates and awards. The interviewer will be looking at how you communicate in the interview situation to assess your skill in controlling a sales situation. Show your ability to manage a situation by having good interview answers prepared and by asking questions at appropriate times during the interview process. Your interview body language should convey confidence and control. Communication skills are key to success in a sales job. Use the communications tips for interviews to come across as an excellent communicator. At the end of the interview process take control and close properly. Ask if there is any other information the company requires. Express enthusiasm and commitment. Ask for specific details of the next step and make sure you stay informed. Get help with how to close the sales job interview. There are a number of excellent resources that will help you to prepare for success in your sales interview. Impress in the sales interview and get the sales job you want!